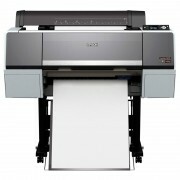 Introducing the highly anticipated, new high quality A3+ printer, the Epson SureColor SC-P600™, which delivers professional features including high-capacity cartridges, networking and wireless connectivity, plus advanced media handling. Epson UltraChrome® HD pigment ink, combined with Epson's innovative MicroPiezo® print head, enables the SC-P600 to produce gallery-quality black-and-white output, plus vivid colour prints with breathtaking blues and violets. The Epson SureColor SC-P600 is setting new benchmarks in A3+ professional photographic printing, delivering the highest D-max to date and unsurpassed black and white photography along with outstanding colour exhibition quality prints. Ideal for amateur and semi-professional photographers the SureColor SC-P600 is also perfect for any business that has a regular requirement for high-quality colour presentations. Installation within the Adelaide metropolitan area is $249 inc GST. 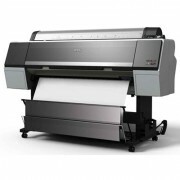 Epson SureColor SC-F7200 - 64"